Unfortunately the weather wasn’t great while I was there, so the light was never great. I did get some nice golden shots one evening though when the sun came out, but I’ll save them for another day. 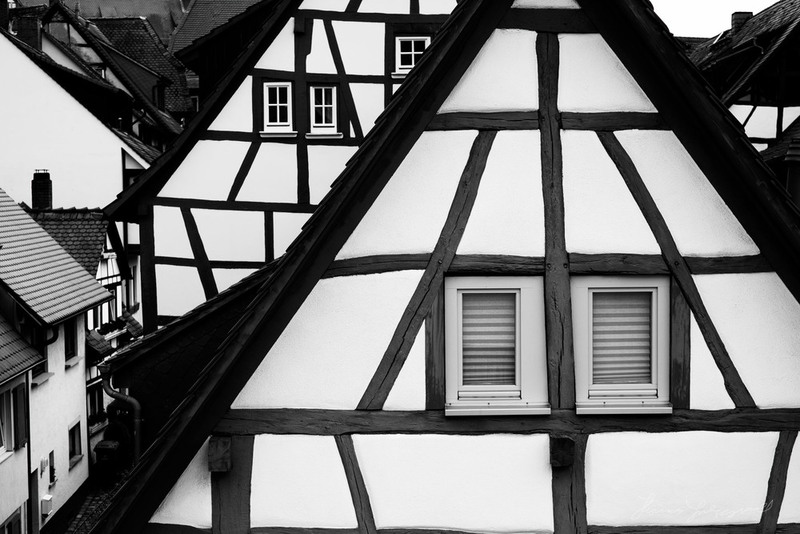 I decided to instead do a sort of study of the medieval timber frame and building architecture, and do so in a high contrast black and white style. Here are the results. You can also check out this set on Flickr. Images were taken with the Fuji X-Pro 2 and Processed in a combination of Lightroom and Iridient Developer.